Fly Front Zippers can be very daunting, but like everything...practice makes perfect. Having a proper Fly Front with facing adds a professional touch to your garment. 1. Start by overlocking or zigzagging both crotch seams, the left side of fly piece A and fold fly piece B in half and overlock together at the side and bottom raw edges. 2. Place zipper right side up onto the overlocked edge of Fly piece B and edge stitch on. 3. 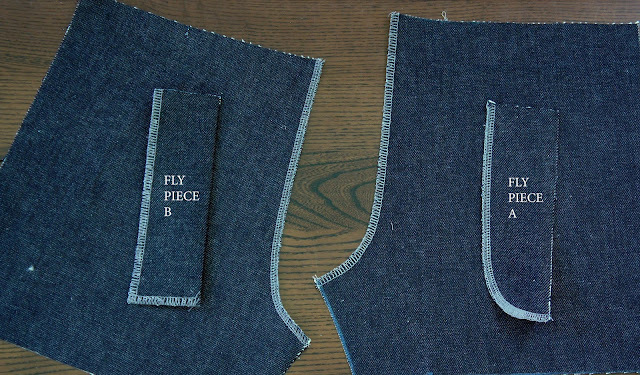 Place Fly piece B on to the right side of the front crotch with the zipper facing down. 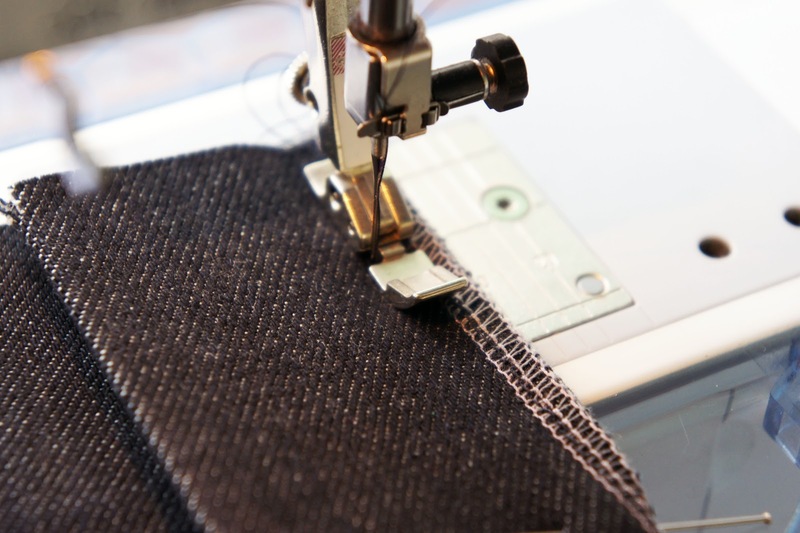 Change the foot on your machine to the zipper foot. 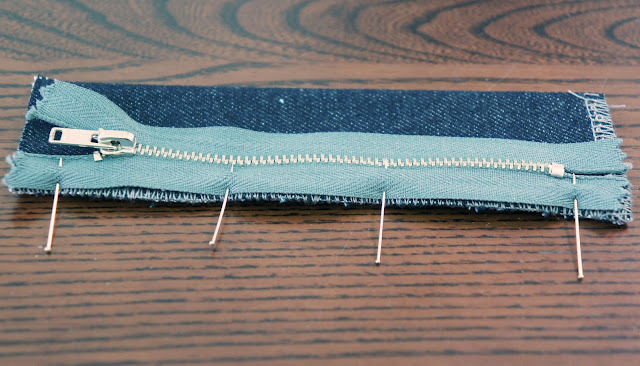 Stitch down 5mm from the edge finishing at the notch or bottom of zipper teeth. 4. 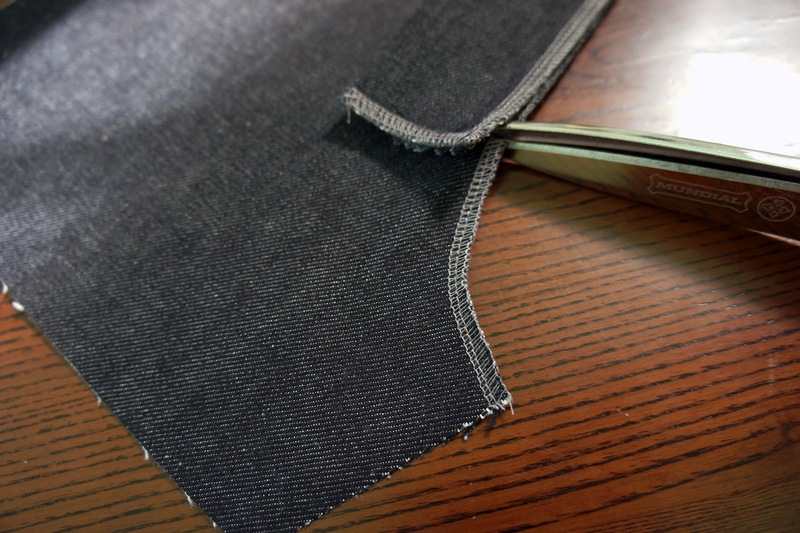 Clip, with your scissors, where there the stitching ends, only on the trouser. 5. 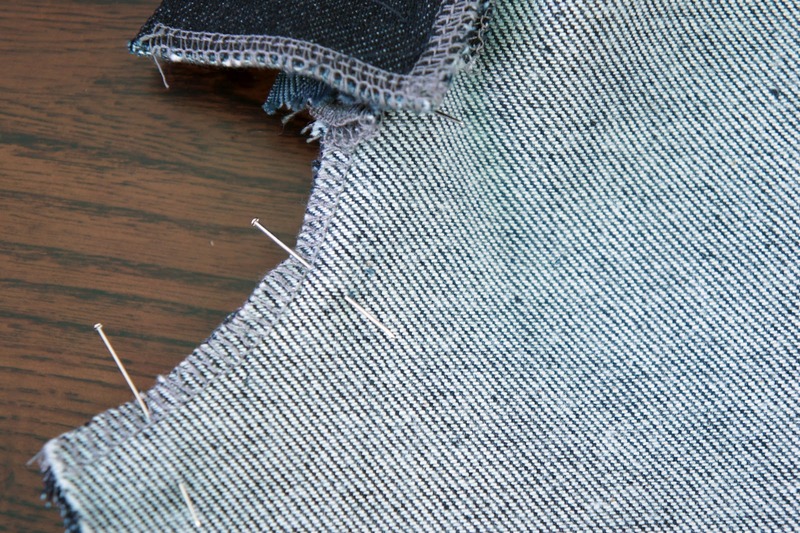 Place fly piece A onto opposite front, and stitch down as far as the notch. 6. 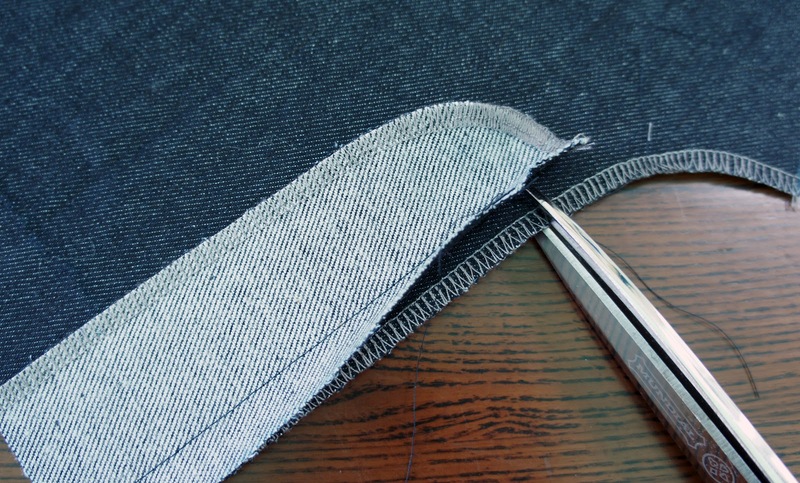 Clip, with your scissors, where there the stitching ends, only on the trouser. Edgestitch seam allowance toward fly piece. Fold the fly piece back toward the wrong side. Press. 7. 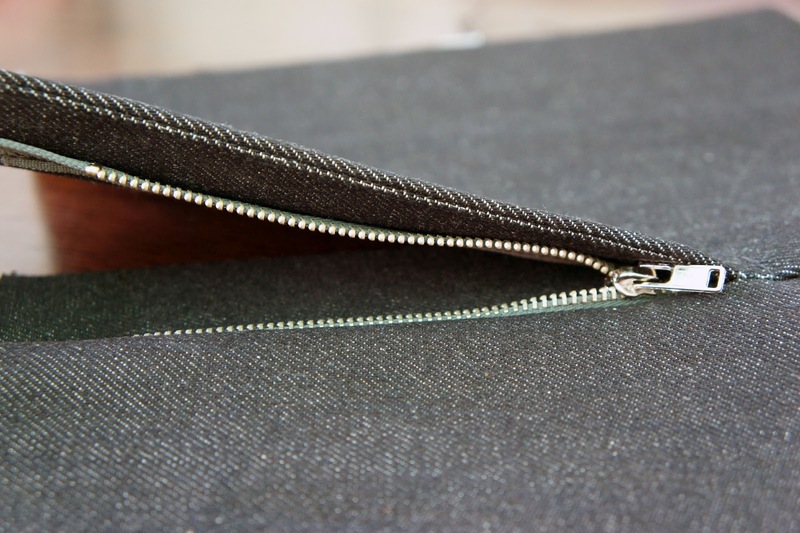 Now place side A over side B with the zipper sandwiched between. 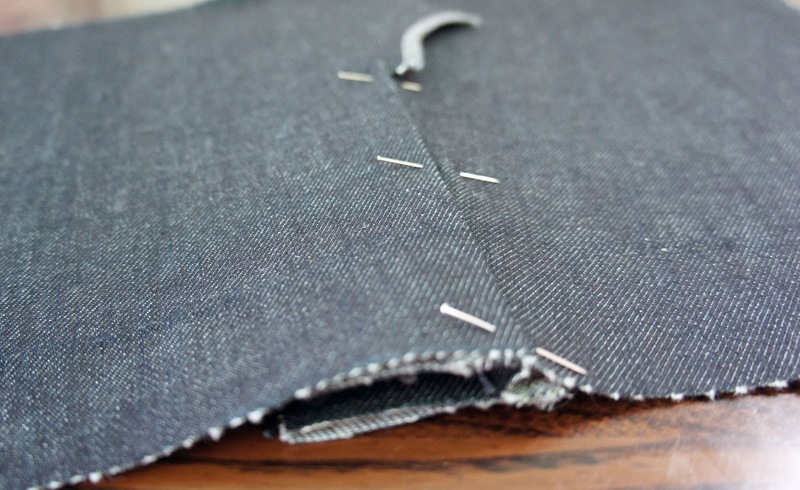 Make sure the finished edge of the top side slightly overlaps the zipper, and pin to secure in place. 8. 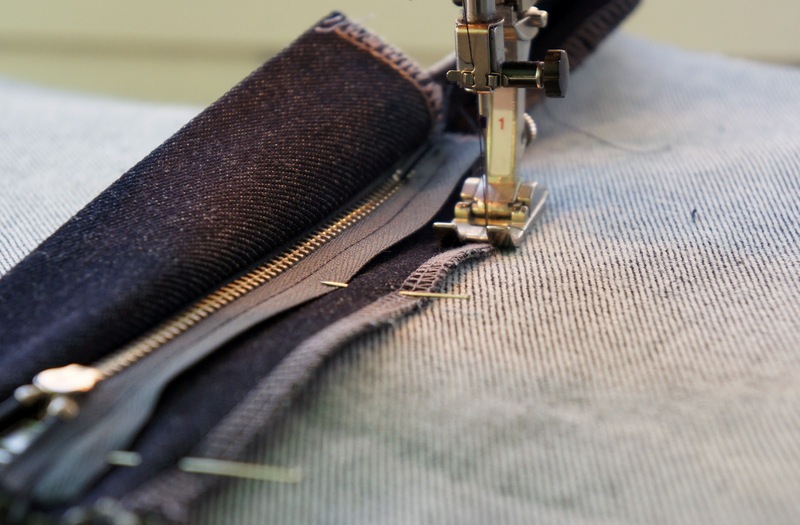 With the front all pinned securely in place, fold fly piece B and both trouser fronts out of the way and stitch the zipper to fly piece A. 9. 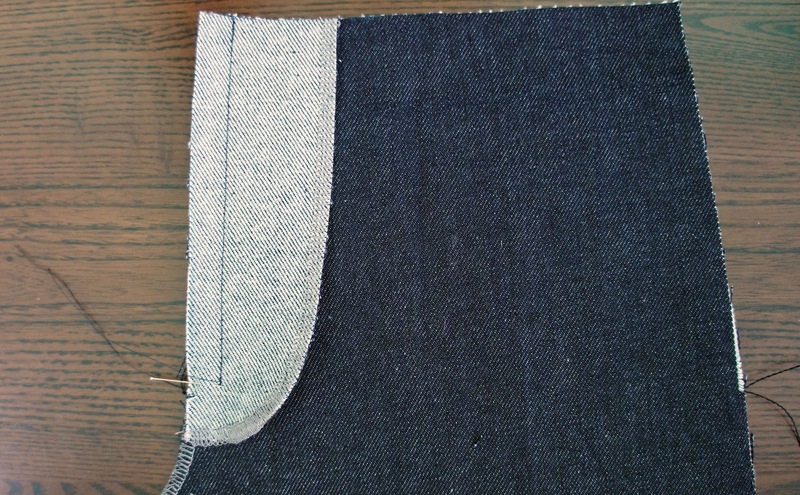 Stitch remaining part of crotch seam together. 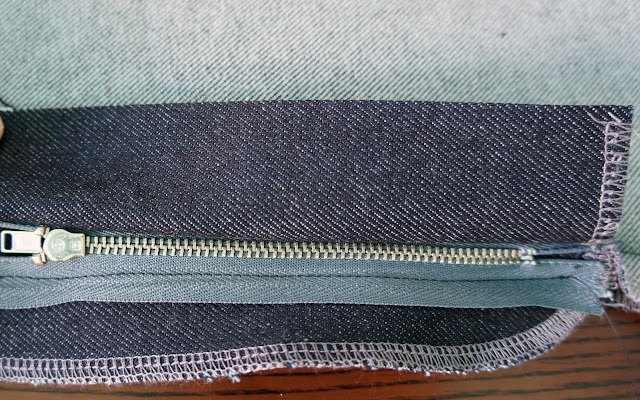 Press seam toward fly A side. 10. Topstitch the edge of Fly piece A 5mm from the edge onto the trouser front from the wrong of the garment taking care to follow the curve of the piece. 11. Press. Pin through all layers at the bottom of the curve to keep Fly B and A in the correct position. Machine stitch close to the seam through all layers to add strength to the crutch seam.